This type of visa may be issued to applicants who are over 50 years of age and over and wish to stay in Thailand for a period of not exceeding 10 years without the intention of working. Holder of this type of visa is allowed to stay in Thailand for 5 years each time with the possibility of an extension of up to 5 years at the Royal Thai Immigration Bureau (total 10 years). Applicants must be at least 50 years of age and above (on the day of submitting the application). Applicants must be nationals and passport holders of eligible countries, namely; Japan, Australia, Denmark, Finland, France, Germany, Italy, the Netherlands, Norway, Sweden, Switzerland, the United Kingdom, Canada and the United States. Applicants must have a bank deposit of no less than 3 million Baht in Thailand OR a bank deposit of no less than 1.8 million Baht and an annual income of no less than 1.2 million Baht. Such amount must be maintained in bank deposit in full for at least one year and at no less than 1.5 million Baht thereafter. Applicants must be Danish nationals or nationals of the above-mentioned eligible countries with permanent residence permit in Denmark. Applicants not prohibited from entering the Kingdom as provided by the Immigration Act B.E. 2522 (1979). 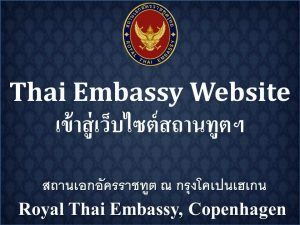 Having no criminal record in Thailand and the country of the applicant’s nationality and residence. Not having prohibitive diseases such as Leprosy, Tuberculosis, drug addiction, Elephantiasis, and third phase of Syphilis as indicated in the Ministerial Regulation No.14 B.E.2535. Period of Stay: Travelers with this type of visa will be permitted to stay in Thailand for a period of 5 years each time with the possibility of an extension of up to 5 years at the Royal Thai Immigration Bureau (total 10 years). Three color passport-size photographs (4×6 cm). Photocopy or photo taken from Photostat will not be accepted. Photographs must have a light color background with a full-face view of the person without wearing a hat or dark glasses. Photographs must be taken within 6 months. A of bank statement (from Thailand financial institutes only) and a letter of guarantee from the bank with bank’s contact information showing a deposit of the amount no less than 3 million Baht. Please note that such minimum amount must be maintained at least 1 year after receiving the visa year and at no less than 1.5 million Baht thereafter. 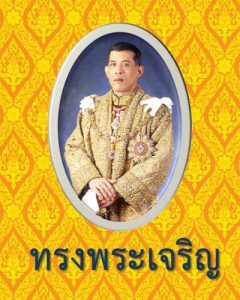 OR a copy of bank statement (from Thailand financial institutes only) and a letter of guarantee from the bank with bank’s contact information showing a deposit of the amount no less than 1.8 million Baht and a proof of annual income of no less than 1.2 million Baht. Please note that such minimum amount must be maintained at least 1 year after receiving the visa year and at no less than 1.5 million Baht thereafter. A letter of verification stating that the applicant has no criminal record in English (verification shall be valid for not more than 3 months). A medical certificate showing no prohibitive diseases such as Leprosy, Tuberculosis, drug addiction, Elephantiasis, and third phase of Syphilis as indicated in the Ministerial Regulation No.14 B.E.2535. Health insurance plan as listed on http://longstay.tgia.org with coverage for outpatient treatment of no less than 40,000 Baht and inpatient treatment of no less than 400,000 Baht. In case of accompanying legal child/adoptive child, who are under 20 years old, a birth certificate/adoption order must be provided as evidence including items number 1-6 and 10. In the case where spouse and legal child/adoptive child are not eligible to apply for the category “O-X” visa, he or she can apply for the category “O” visa or “ED” visa (for child).